Honda’s new City unveiled in India some days ago and it remains a well-known fact that, Honda too discontinued the Accord for the lack of diesel option in its India lineup. To compensate for the discontinuation of flagship Accord, the Japanese carmakers said that it is going to launch Accord Hybrid in India sometime by 2014. The Accord Hybrid uses a 2L petrol engine worth of 141PS maximum power and 165Nm of peak torque; an added lithium-ion battery AC Synchronous electric motor worth of 166PS-306Nm adds more charm to the aforementioned package. 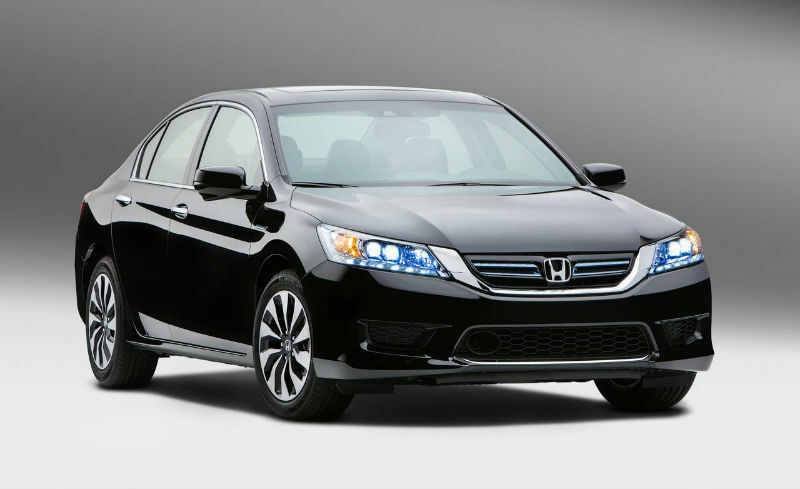 Overall, the Honda Accord Hybrid delivers a handsome of 196PS combined. The e-CVT transmission takes care of the traction. It is learnt that Accord Hybrid can be run either on petrol or on electric, and also on both. About pricing, the source says it will be near to Rs. 30 lakh (steeply Rs. 6-7 lakh more than the current Accord). However, it may find subtle numbers of buyers in India, because of its ultra niche image since the good old days. But the Toyota Camry Hybrid is also been there selling in India for past some months. Hope so, it will be interesting to see who is going to win the e-chase of automobiles: the Toyota who flagged the first attempt of going Hybrid on our shores, or the bold H logoed carmaker who enjoys a reputed image than any of the poor man’s Mercedes brand in India. Stay tuned to us for more updates!